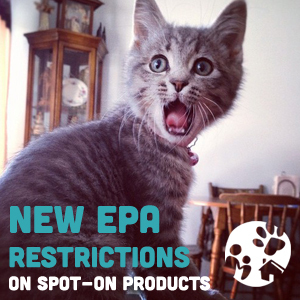 After an alarming growth of bad reactions to spot drop flea and tick prevention ranging from irritation, vomiting, diarrhea, seizures, trembling, depression to even death, the EPA (U.S. Environmental Protection Agency) is now increasing the restrictions for these products. 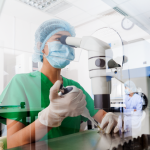 They will be reviewing the labeling on spot-on flea and tick prevention products to see if they need clearer instructions and developing more stringent testing and evaluation requirements for existing and new products. 1. Clearer labeling from manufacturers of these spot-on conventional pesticide products that show how to use the product. 2. Clearer instructions for the proper dosage to use for the weight of your dog to ensure pet owners don’t apply the wrong amount. 3. Some products can only be used on cats but are toxic to dogs, and some are apparently “okay” for dogs but are toxic to cats. They now require clear marking to differentiate between what are cat products and what are dog products, and since similar naming has led to misuse in the past, they will now forbid similar brand names between cat and dog products. 4. Since there have been so many cases of severe reactions to these products, the EPA is now restricting some of the use of the ingredients that may have caused the reactions, but not forbidding them. 5. They will now require companies to launch a consumer-information campaign that explains to them the new label directions to prevent pet owners from making mistakes when applying these flea and tick prevention products. While it is good that they are requiring stricter labeling on these products, you have to ask yourself if these products, which will remain largely the same aside from labeling, are really the best solution for your pet. We still believe it is important to keep fleas and ticks away from your pet, but the “solution” can sometimes be more damaging than the problem itself. 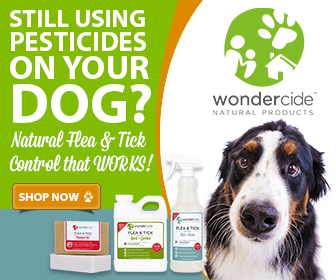 You can avoid all the headache of figuring out how easy a product is to apply, how toxic it can be (both to your pet and you), what happens if you apply it incorrectly, and all the other various side effects these flea and tick prevention products bring by switching to natural pest control products. Cover the body, legs, tail, belly and armpits. 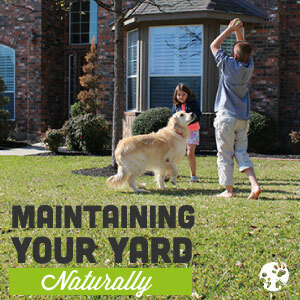 Spray 2-3 times per week or as needed for desired results. For more information on how to apply Pets + Home, watch our video on YouTube. Notice that we didn’t specify “Pets + Home for Cats” or “Pets + Home for Dogs.” That’s because it works for both! This one product will protect big dogs, small dogs, and cats from fleas & ticks and you don’t have to worry about cross-contamination. The best solution is sometimes the simplest, and with all the complications of traditional flea and tick prevention products, we hope pet owners will choose natural flea control products that are safer for their pets, themselves, and the environment.